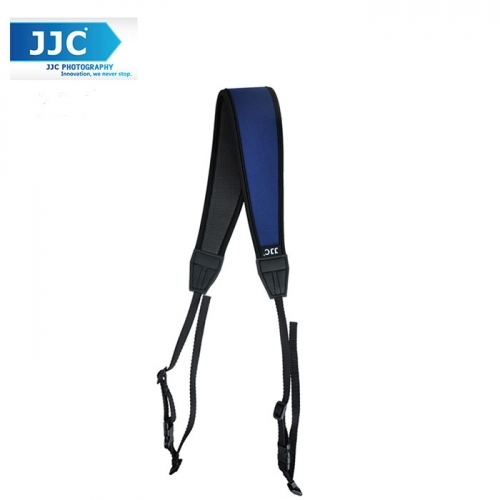 JJC NS-C Series Professional Neck Strap is designed for most DSLR cameras with two strap eyelets. The neck strap is made of comfortable and durable Neoprene. It evenly distributes the weight of your camera thereby minimizing strain on back, neck and muscles. Its rugged interior surface and seamed edges prevents the strap from going around when you are shooting. In this way, you will be able to achieve a better stability. The strap attaches to the camera strap eyelet by polyester fiber webbing. And with the two buckles on the strap, you can quickly adjust the strap to your comfort and shooting style. What’s more, the neck strap has two quick-release clips allowing you to remove the neck strap easily when not in use. Besides, after removing the Neoprene part, the rest acts as a simple hand strap by connecting the both ends of polyester fiber parts. 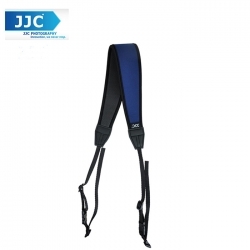 Additionally, JJC NS-C Series Professional Neck Straps are available in five different colors. All the features of the strap make it an ideal tool for you to take photos constantly for a long time.